The golden era of AI is here. But how can organizations best harness the technology and integrate it seamlessly into their CRM? 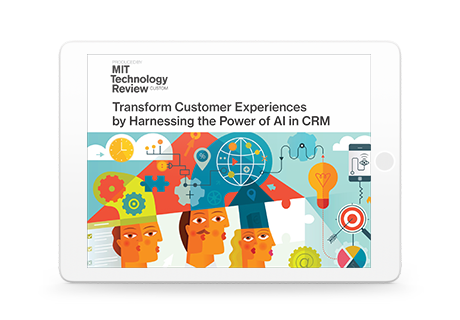 This MIT report explores the next-gen powers of AI for CRM. Download the whitepaper for a deep dive on how Salesforce Platform, embedded with Einstein, turns customer data into predictive insights to deliver the most personalized, intelligent experiences for both customers and employees.